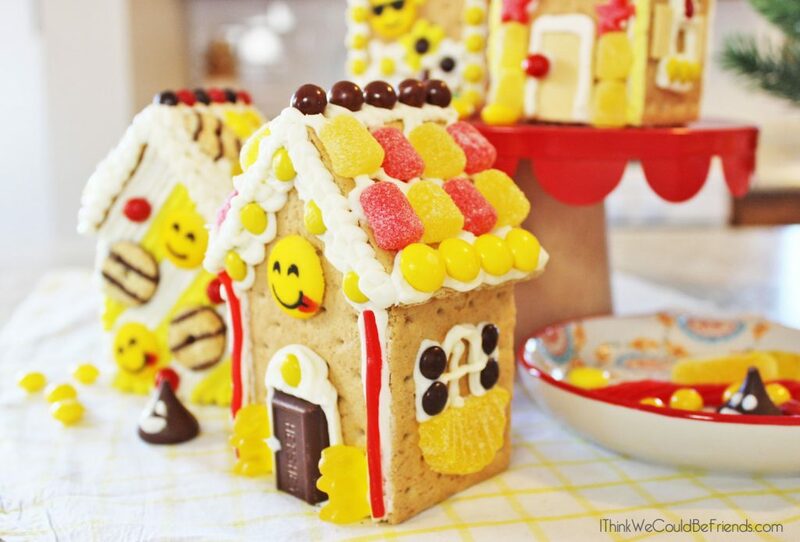 Emoji Party Ideas: Emoji Gingerbread House DIY Build & Decorate Kit with Ideas! 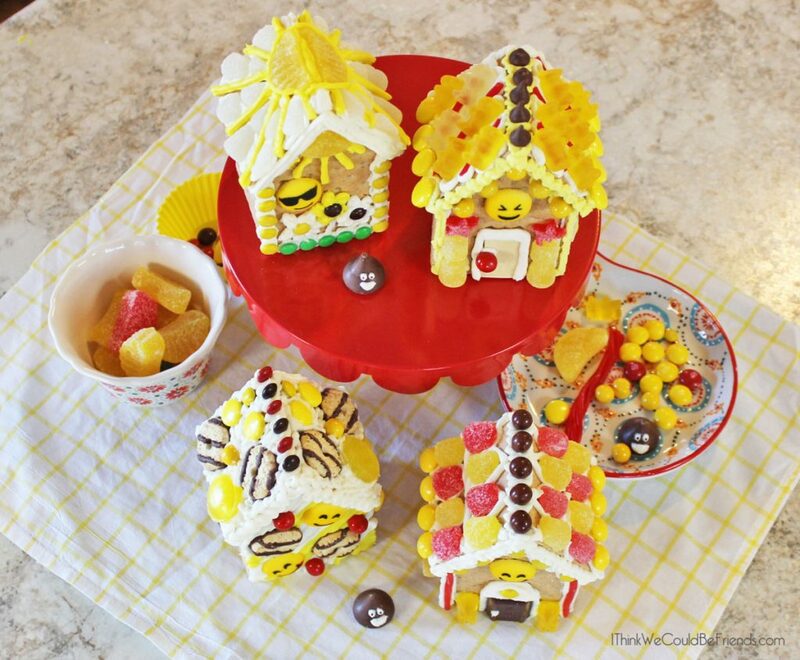 The first thing my husband asked when he saw my latest creation was: “Why are you making Emoji Gingerbread Houses?? ?” I thought it was fairly obvious. 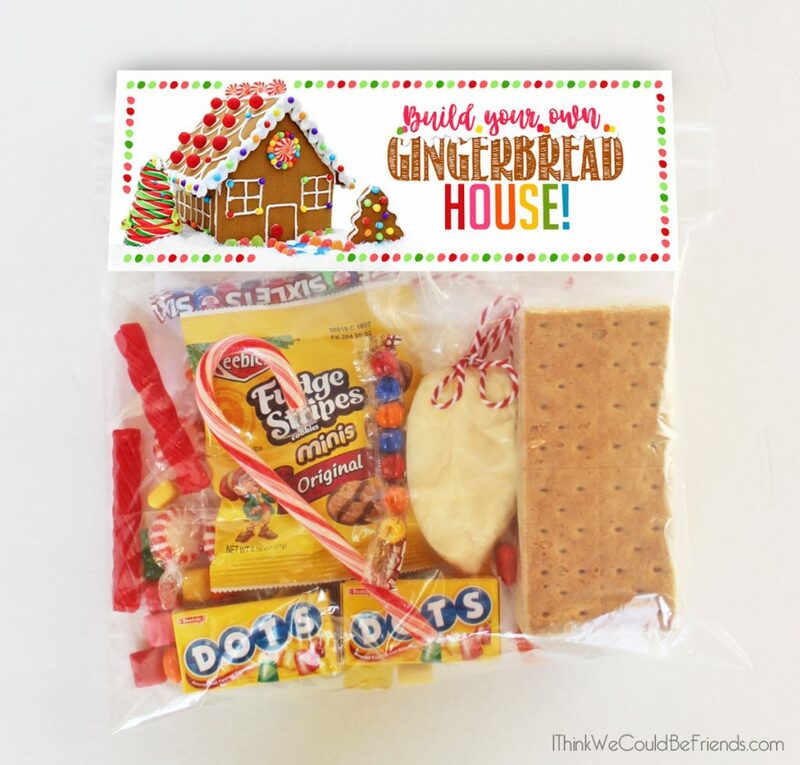 Our oldest was turning eight and I had the brilliant idea that her and her friends could have a Gingerbread House Decorating Party to celebrate. The only problem? She thought she was too old for Gingerbread House Kits and decorations. Sigh. Have we really reached this point!?! Now our oldest loves anything arts or crafts and still wanted to make something at her birthday party. So then I had a new idea. 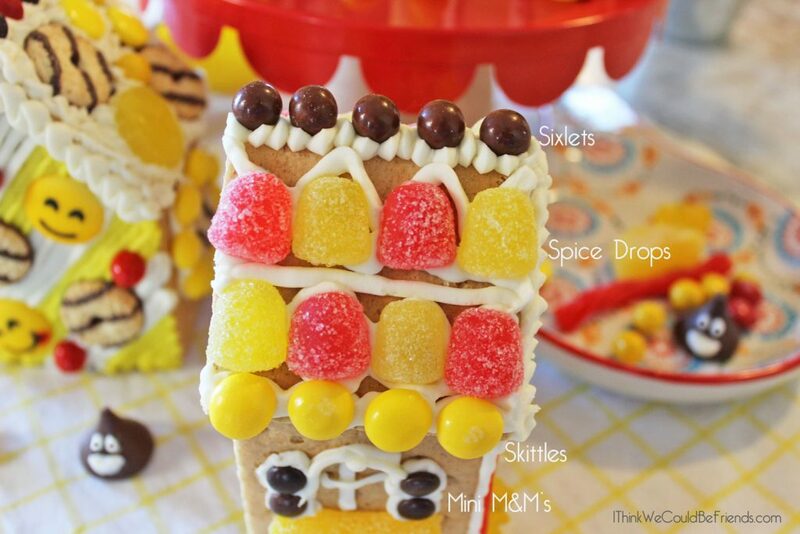 Why not still make gingerbread houses, but find a way for them to appeal to older kids? 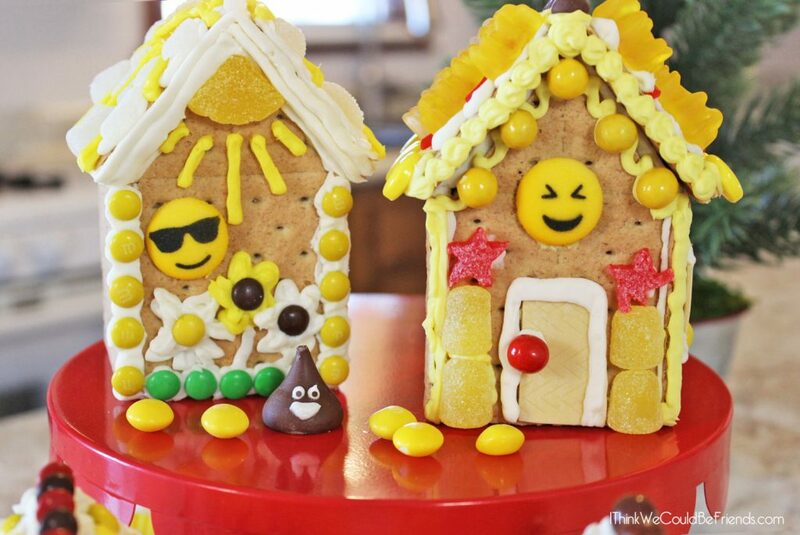 It was then that the Emoji Gingerbread Houses were born! 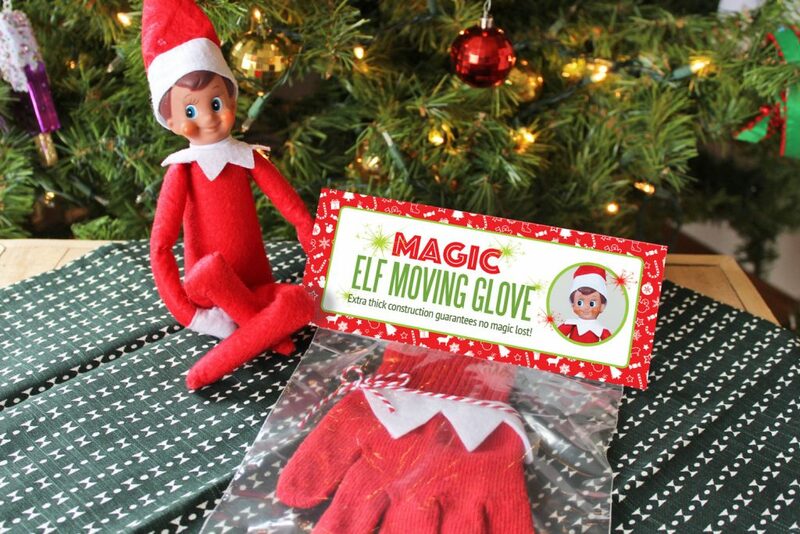 But of course, the fun part is DECORATING them! 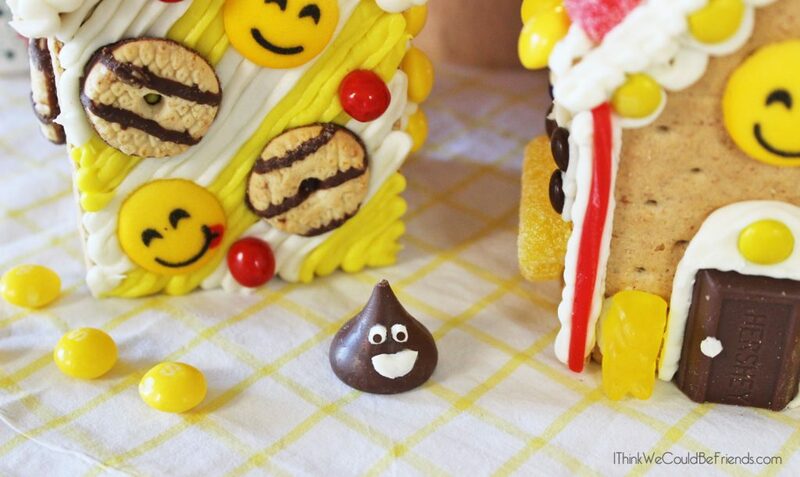 For the Emoji Gingerbread Houses, coming up with the decorations was fairly simple. Basically, anything yellow, brown and red went. And then, of course, you have to have your emojis or it isn’t an Emoji Birthday Party! The ones on the left I ordered from Amazon (it is a set of 48 in two different sizes), you can find them HERE. The other set I got from Walmart (although I had to go to a few different stores to find them, and when I did they were in the baking aisle by the cake mixes). Both sets are 100% edible. 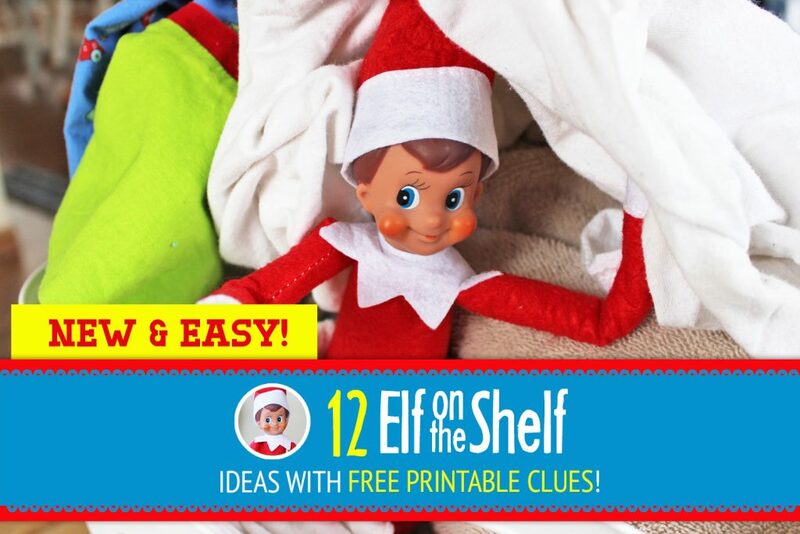 If I have a choice I would use the Walmart ones again. They are a little thicker and fit the style better. 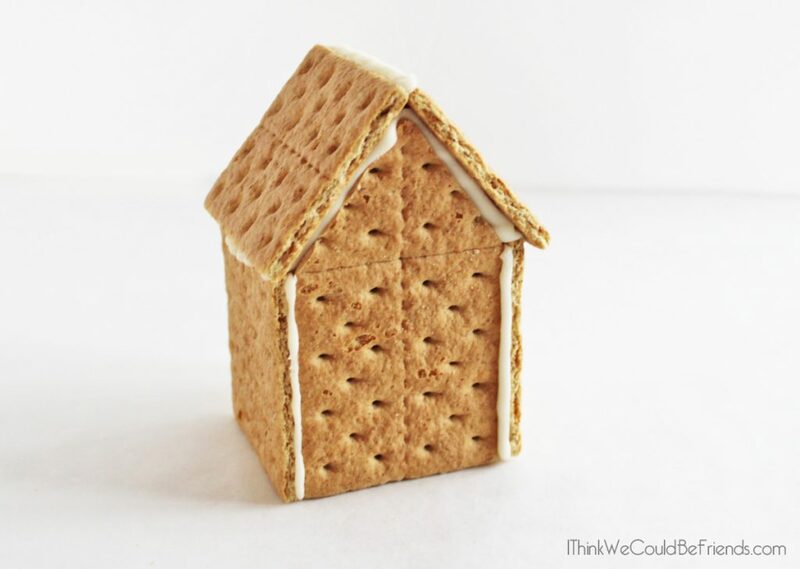 If you’re having a party or anytime actually, I would recommend that you construct the houses about six hours ahead of time so that they can set. So I built the houses and then the girls just decorated them. We found that if you try to decorate them before the frosting is set they tend to be fairly fragile. 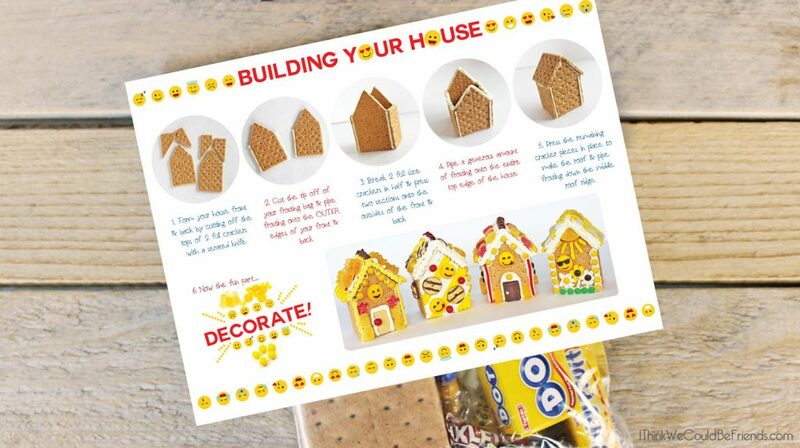 And while these houses aren’t huge, they can still hold ALOT of candy, so don’t worry if the kids are going a little overboard! I noticed some of the girls wanted me to put on the frosting and they just added the decorations, while others wanted to do it ALL themselves. 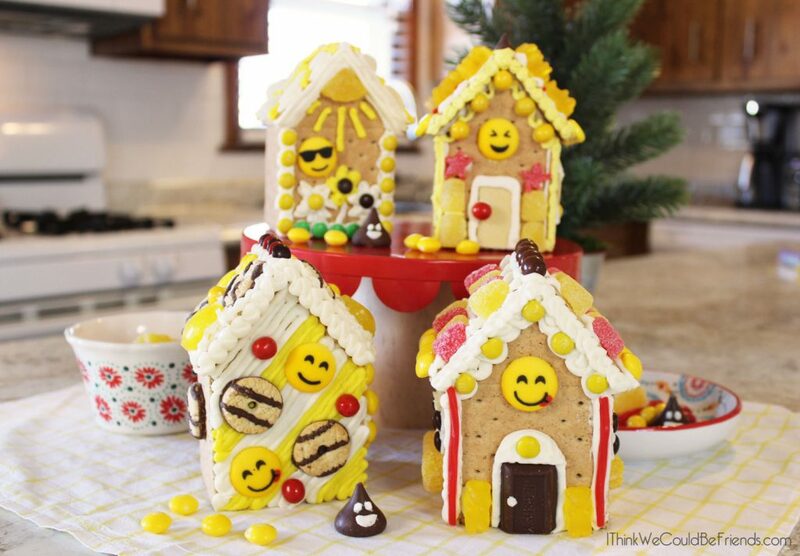 Like I mentioned before, I had previously made kits to make traditional Gingerbread Houses so it was easy to convert them to Emoji Gingerbread Houses. 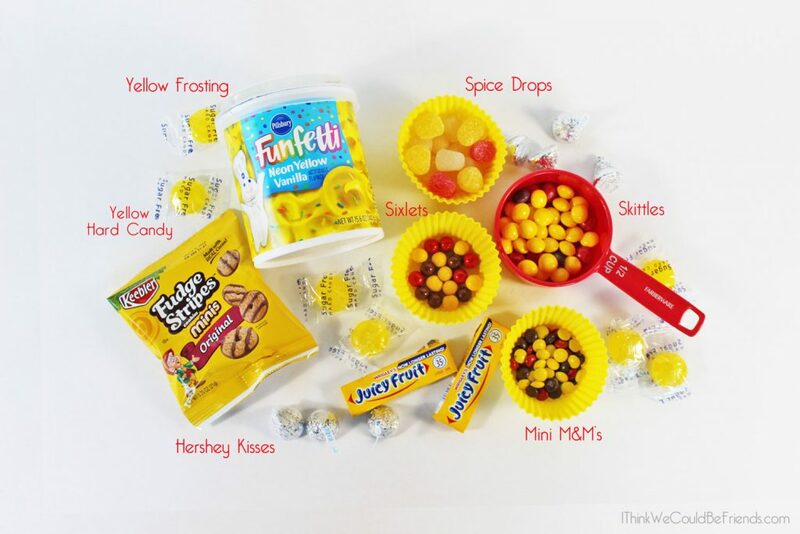 – Candy to decorate! Really ANYTHING goes! 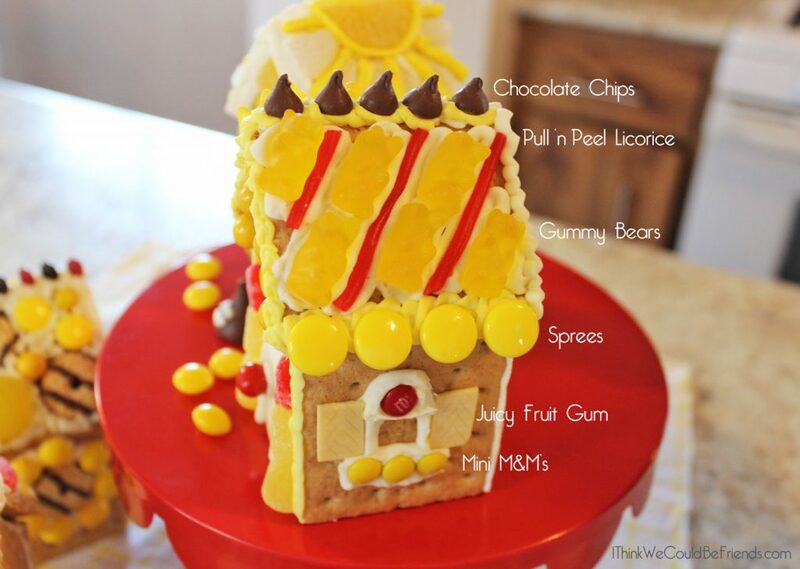 Even stuff you have around the house like pretzels & fruit loops can work well, too. This is what the frosting looks like up close. 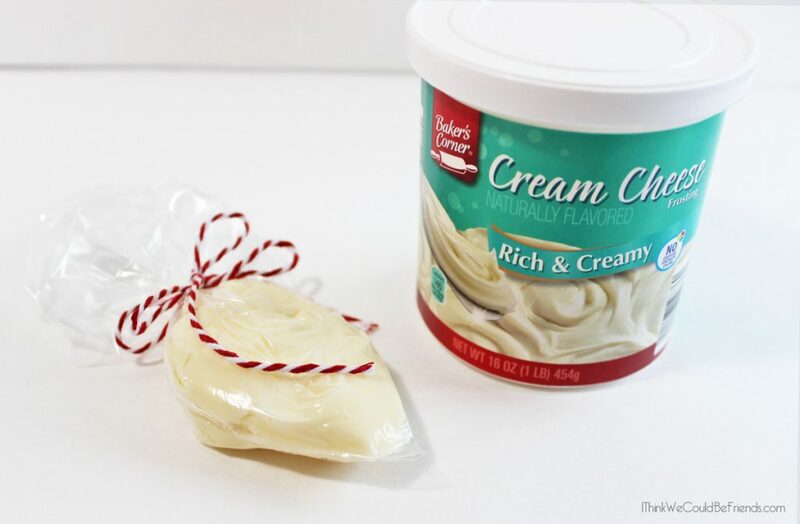 We found that just regular vanilla or cream cheese frosting works great. If I had disposable piping bags like these I would have used those instead. I also purchased the pre-mixed yellow frosting that I pictured above. You can purchase individual icing packets online, however, we were trying to keep the cost down, so we went this route. What I especially appreciate about these little kits is that you can put them together for under $2 each. In our area, the cheapest place to buy the graham crackers, frosting and baggies is Aldi. I purchased most of the candy from Walmart and the dollar store. 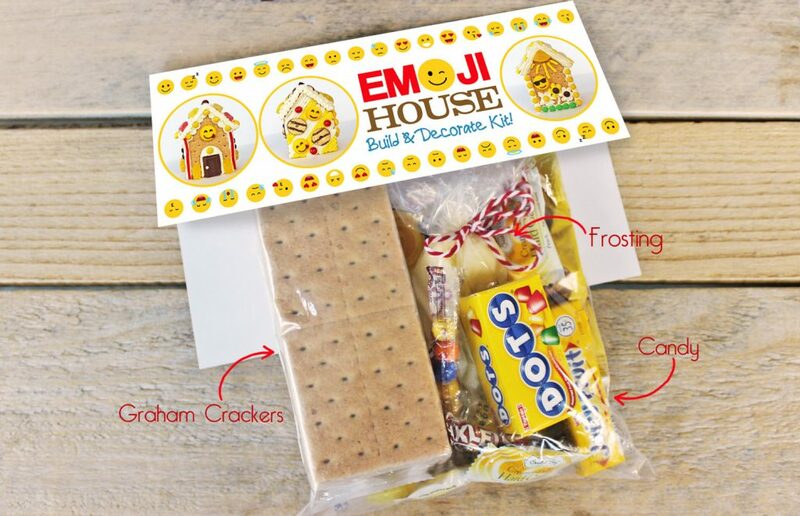 The emojis and yellow frosting came from Walmart as well, but like I mentioned above, you can also find edible emojis on Amazon HERE (package of 48). If you have any questions, please don’t hesitate to leave it in the comments! Our daughter had a blast making these at her Emoji Birthday Party and I hope yours do, too! 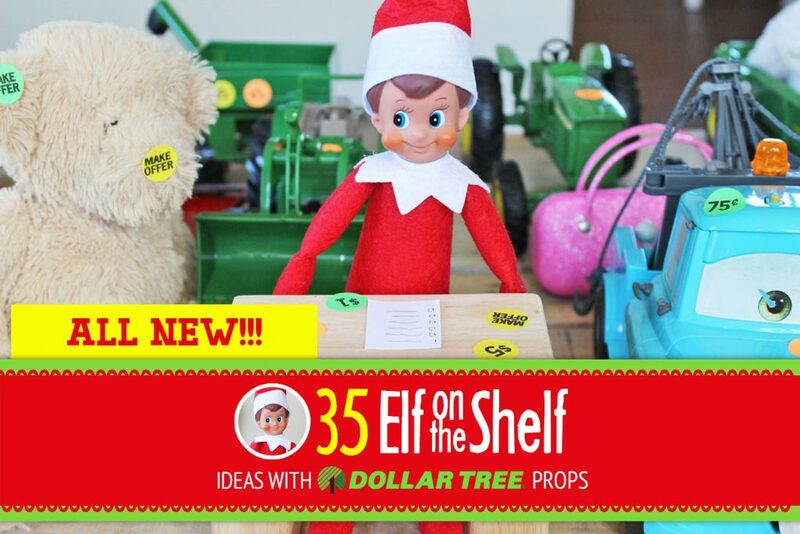 If you have another minute, be sure to check out my post 35 New Elf on the Shelf Ideas (each with a Dollar Tree prop), they’re really clever ideas! hi I would like to buy the whole kit .. do you sale it? This is the cutest thing ever!!! 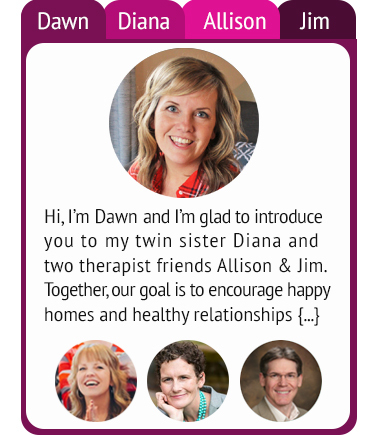 I’m in the process of getting ready for 10 of our grandchildren to arrive at the end of the month for a week of Cousins Camp. 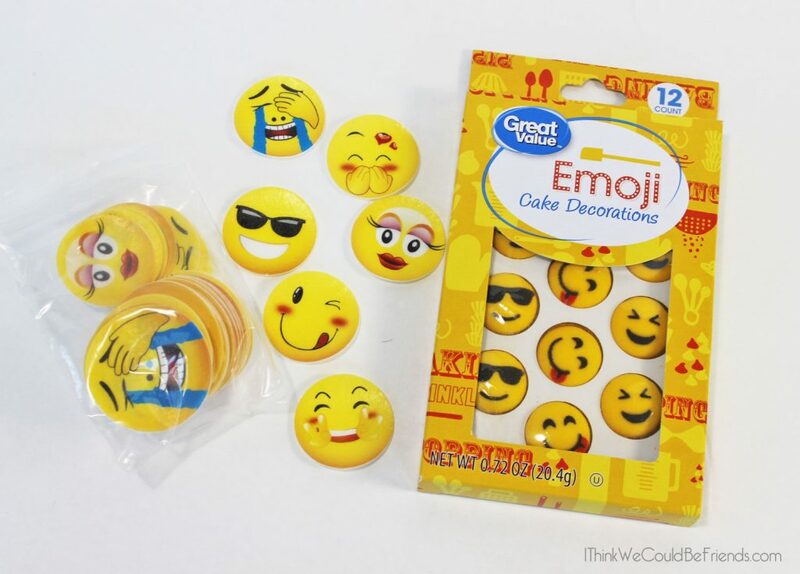 The theme of the week is Emojis, and they would absolutely love making these. I think even the guys would enjoy it! 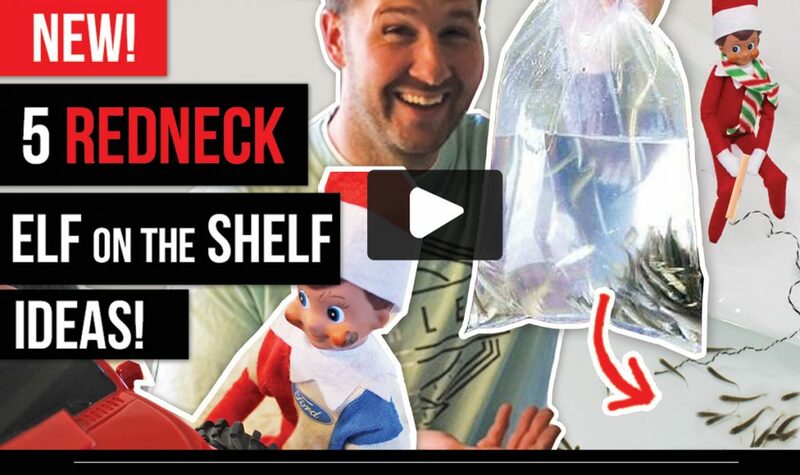 Thank you so much for this creative idea! !